Whether questioning consumerism, describing torture, or lamenting death and disease, Jenny Holzer‘s interventions in the public sphere and her use of language is designed to agitate and disturb. Coinciding with Art Basel 2017, Hauser & Wirth Zürich is staging a major presentation of the artist’s latest body of work. As a testament to her unpaired vision of art that encompasses both individual and collective experiences of power and violence, vulnerability and tenderness, the exhibition will include two monumental kinetic LED signs with new texts the artist selected especially for the exhibition, a new series of the artist’s acclaimed Redaction Paintings, along with related watercolour and graphite drawings, and a group of engraved limestone benches. Among the highlights of the Jenny Holzer exhibition are two LED signs, RAM from 2016 and MOVE from 2015. 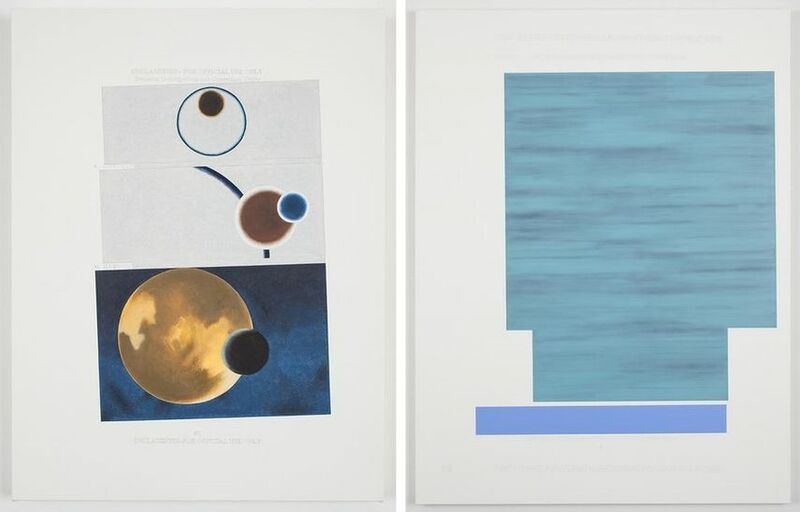 Representing the artist’s most recent exploration of the relationship between materiality and language, these pieces appropriate the LED medium typically employed in public context for news, information or advertising purposes. 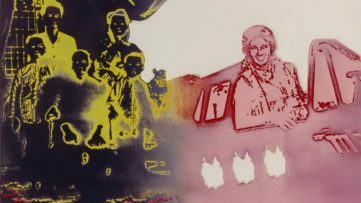 Both pieces deal with issues relating to war, expressed primarily through the voices and perspectives of civilians while focusing on both war’s victims and its architects. 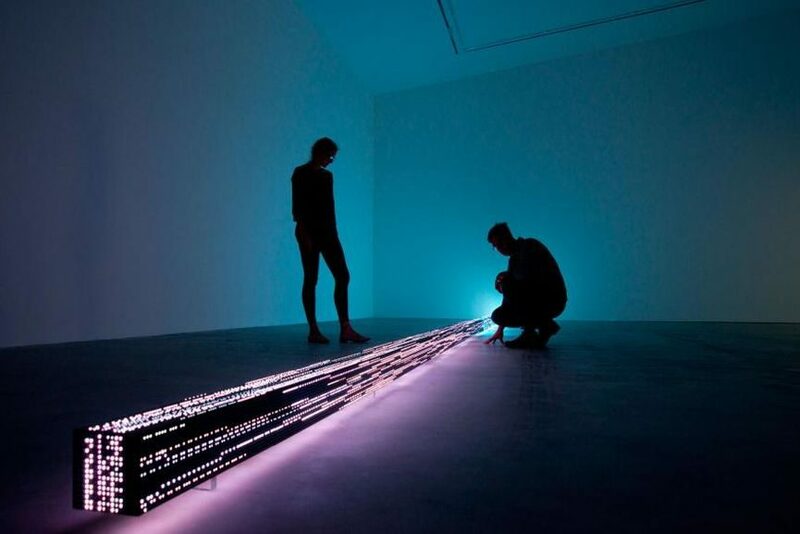 Equipped with intelligent robotics, works move in response to the viewer’s presence. 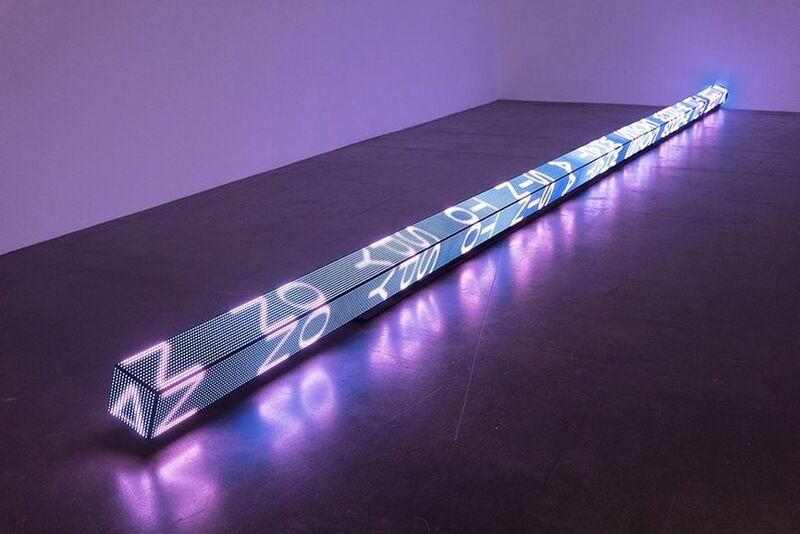 A three-sided LED stretching over seven meters long, RAM shows words that scroll along each face at varying speeds, evoking speech patterns that Holzer describes as “the kinetic equivalent to the inflection in the voice”. A four-sided vertical LED sign swinging from a robotic art suspended from the gallery ceiling, MOVE references the international refugee crisis and the devastating humanitarian consequences of Syria’s ongoing civil war, displaying some 131 individual eyewitness accounts. The exhibition will unveil a new group of paintings that belong to Holzer’s ongoing Redaction series. Using oil on linen, the artist faithfully reproduces declassified but heavily redacted US state and military papers, including FBI documents on terrorist threats, cyber counterintelligence and CIA instructional courses on data collection and reports. 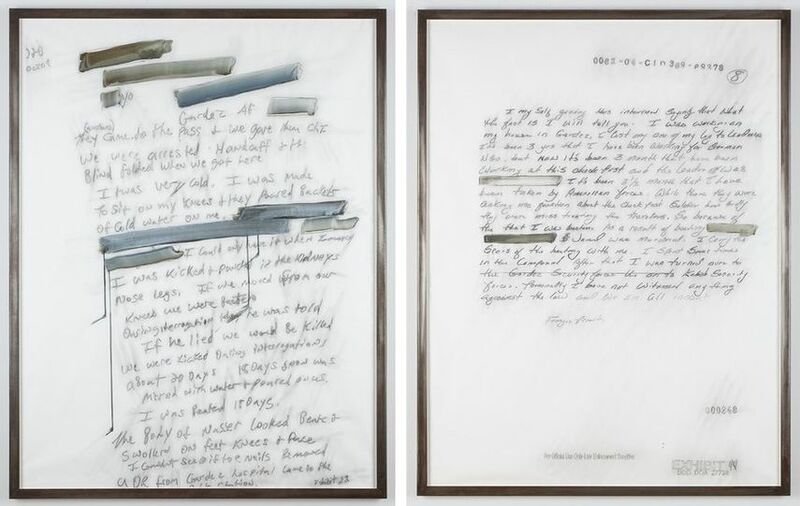 Bringing these documents into the gallery, Holzer gives them a public hearing, at the same time questioning the normalization of violence in the contemporary political discourse. 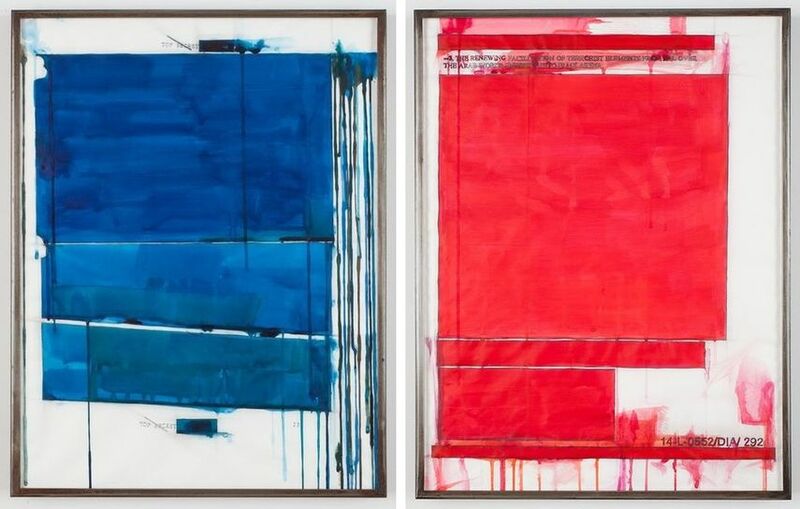 In conjunction with these paintings, the artist has created a body of watercolor and graphite drawings on vellum tracing paper, realized on process drawings that the artist’s studio uses to transfer government documents to linen for the oil paintings. 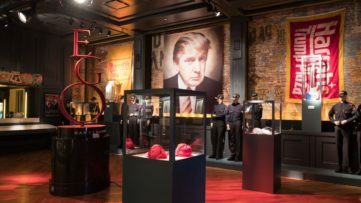 The exhibition also features a new series of engraved limestone benches suggestive of grave markers and historical monuments. Exploring the variety of media, she has been combining sensory experience with poetic, political and personal texts to create powerful tension between the realms of feeling and knowledge. As Joshua Craze, author of A Grammar of Redaction, explains, Holzer “turns words into images so that we can read them”. The Jenny Holzer exhibition will be on view at Hauser & Wirth Zürich until July 29th, 2017. Featured images: Jenny Holzer – RAM, 2016; Three-sided LED sign – RGB diodes, 14 x 762 x 14 cm / 5 1/2 x 300 x 5 1/2 in; Jenny Holzer Installation View. All images © 2017 Jenny Holzer, member Artists Rights Society (ARS), NY Photo: Jake Forney. Courtesy of Hauser and Wirth Zurich.